The guide has been funded by Lilly and developed by medical experts along with several patient advocacy groups who provided their expertise and experience in developing a comprehensive guide to assist patients making a well-informed decision. 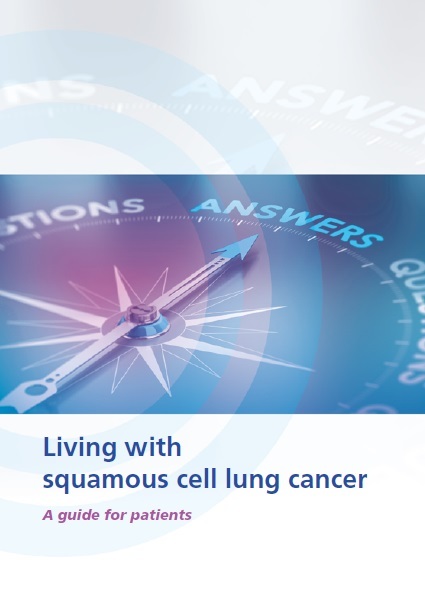 This booklet is designed to help you as leading nurses to assist patients find the answers to many of the questions they may have about squamous cell lung cancer (SqCLC). The main focus of the information within the guide is advanced SqCLC. 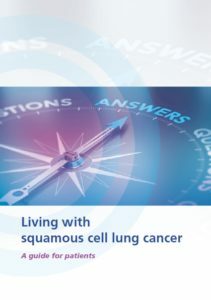 The guide contains questions relating to the features of Squamous Cell lung Cancer, its diagnosis, symptoms, treatment options, and where you can find more information and support. We hope you find this resource beneficial in supporting your patients living with Squamous cell lung cancer. This booklet has been developed by a group of medical experts with input from lung cancer patient advocacy groups.